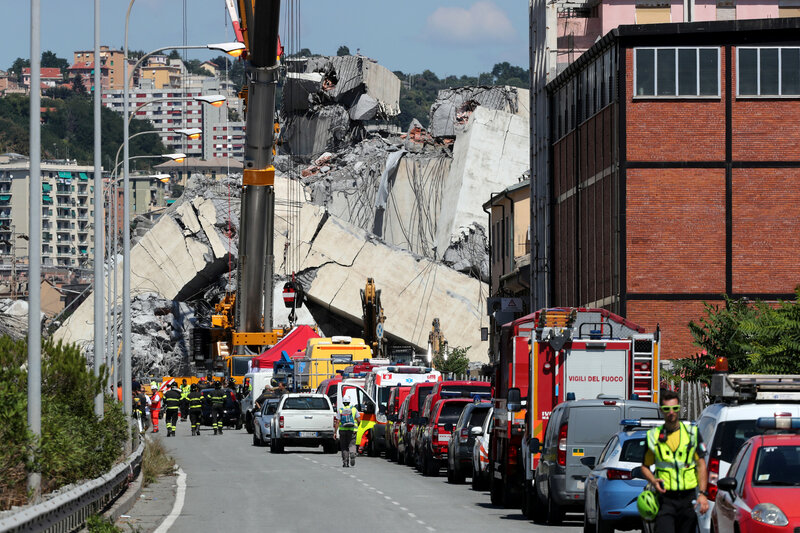 Italian Prime Minister Giuseppe Conte declared a state of emergency for Genoa, one of Italy’s busiest ports, whose main land corridor with France has effectively been severed. 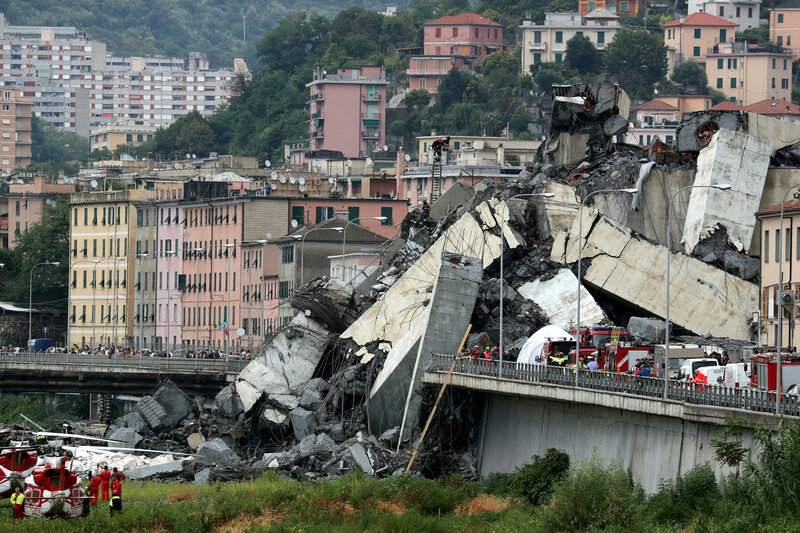 Italian Transport Minister Danilo Toninelli, visiting the disaster scene, said bridge operator Autostrade per l’Italia would have to contribute to the cost of its reconstruction as well as pay heavy fines. 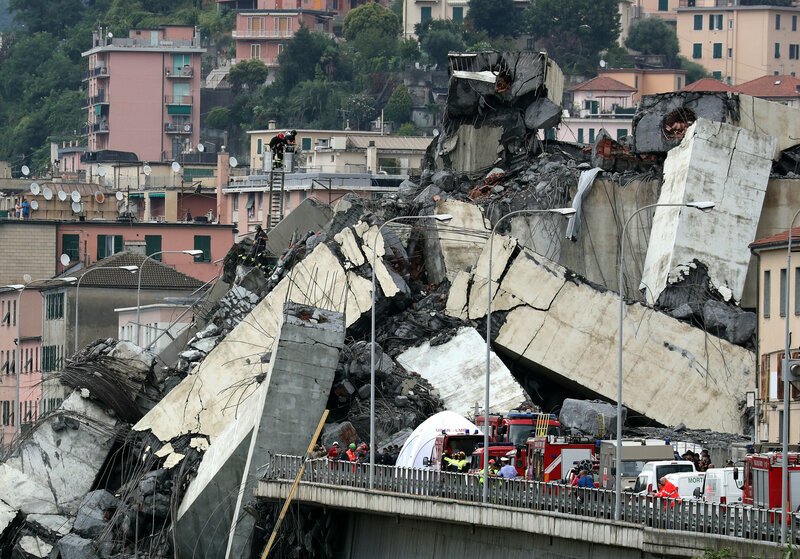 But Autostrade, a unit of Milan-listed Atlantia group, said it had done regular, sophisticated checks on the structure before the disaster, relying on “companies and institutions which are world leaders in testing and inspections” and that these had provided reassuring results. 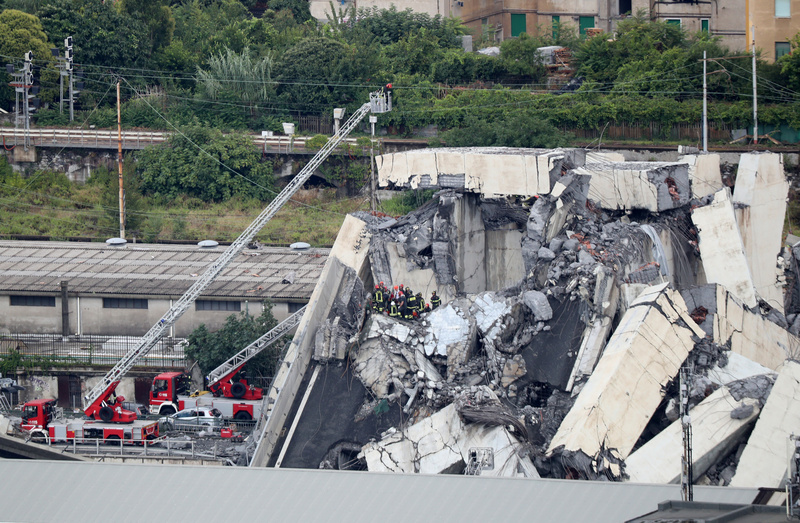 A source close to the matter said Autostrade per l’Italia would hold an extraordinary board meeting next week following the disaster. 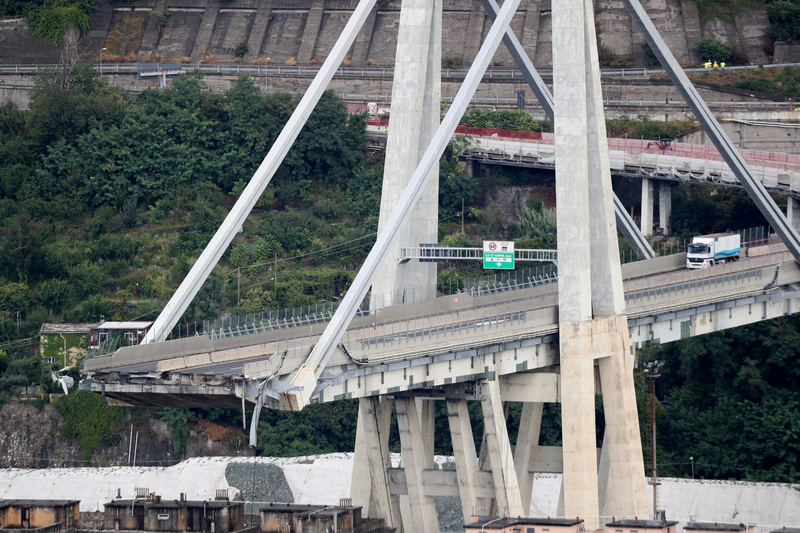 The bridge’s condition, and its ability to sustain large increases in both the intensity and weight of traffic over the years, have been a focus of public debate since Tuesday’s collapse, when an 80-metre (260-foot) span gave way at lunchtime as cars and trucks streamed across it. 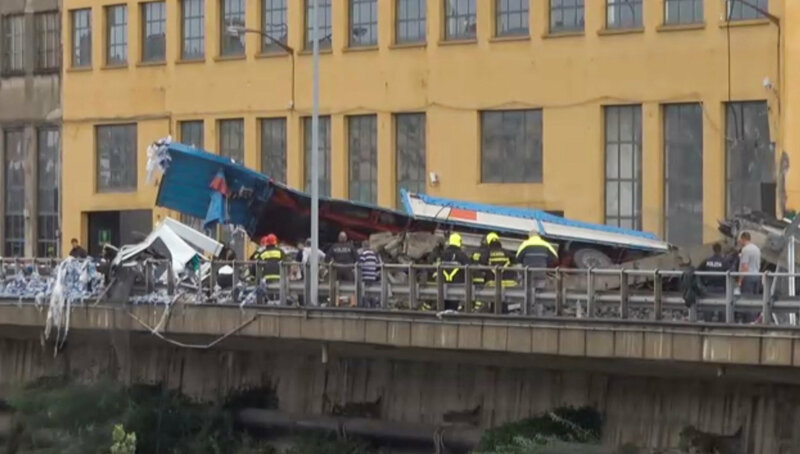 Salvatore Lorefice, 58, a pensioner who lives a few hundred metres (yards) from the bridge, said cement had fallen off the structure as early as the 1980s when he worked at a warehouse directly under the bridge. 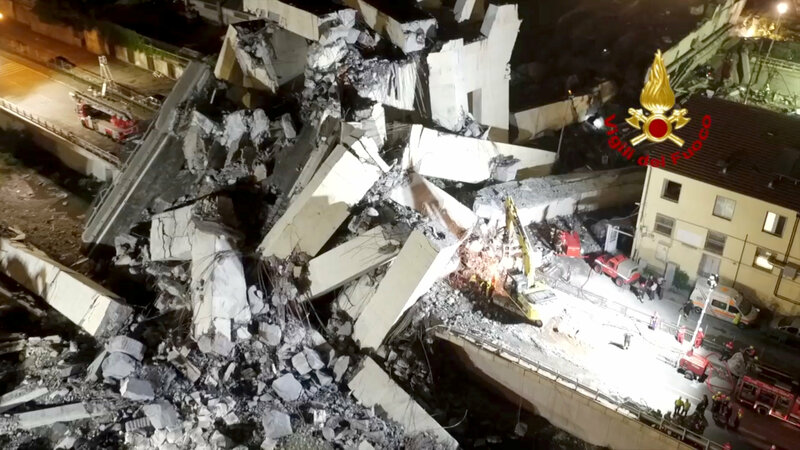 He recalled a visit by a team of Japanese technicians who “came to find out how the structure had deteriorated in such a short time”. 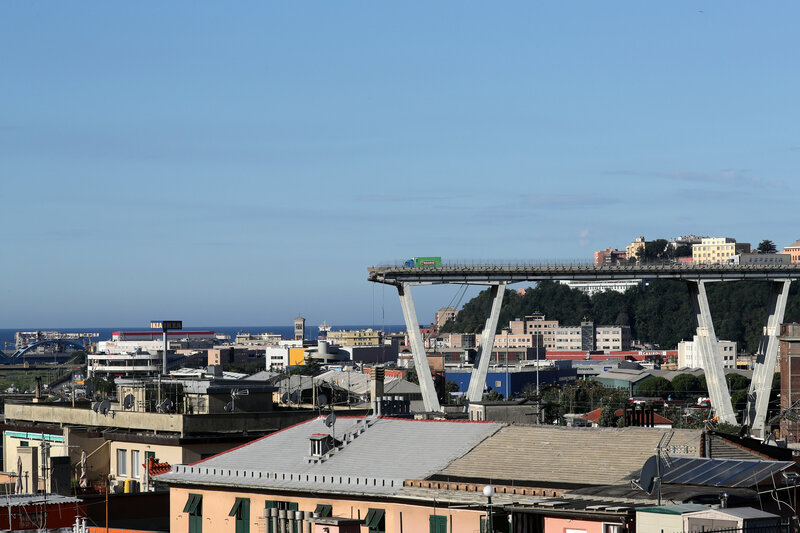 Deputy Prime Minister and Interior Minister Matteo Salvini said the private sector manager of the bridge had earned “billions” from tolls but “did not spend the money they were supposed to” and its concession should be revoked. 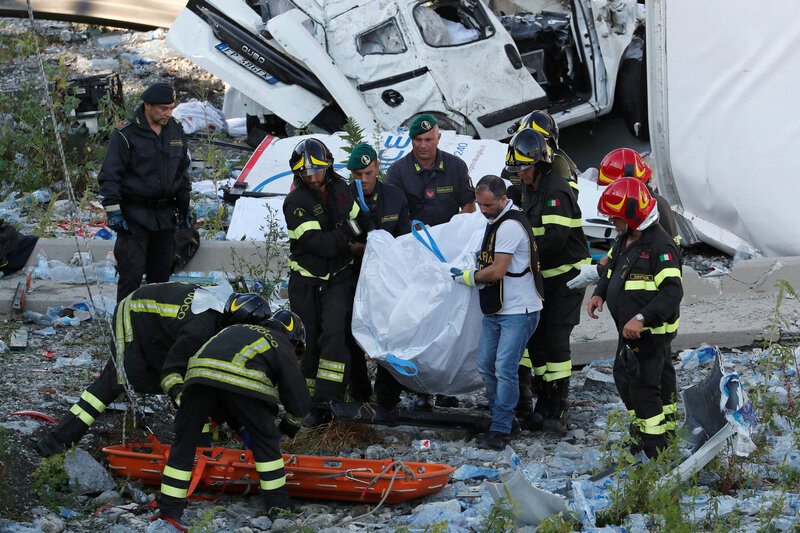 “Imposing the highest penalties possible and making sure that those responsible for the dead and the injured pay up for any damages and crimes is the very least,” he said. 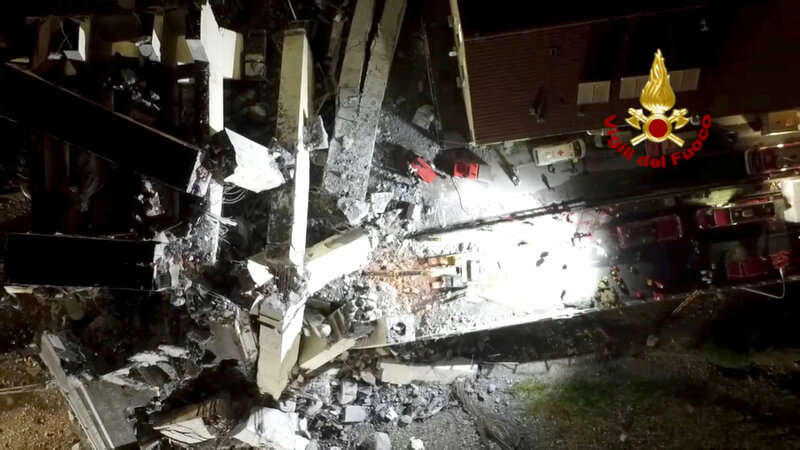 In Paris, France’s foreign ministry said four French nationals were among the dead. 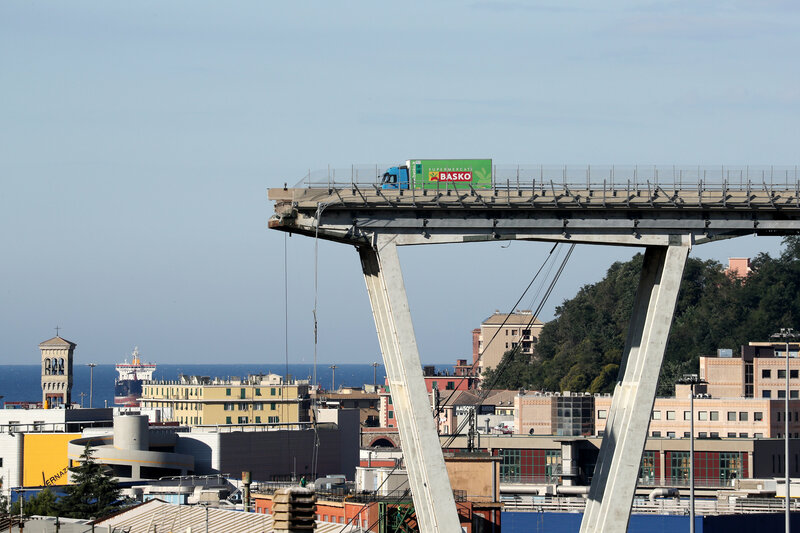 “Autostrade per l’Italia was not able to fulfil its obligations under the contract regulating management of this infrastructure,” Toninelli said on RAI 1 state TV, adding he would seek to levy heavy fines against the company that could reach up to 150 million euros. 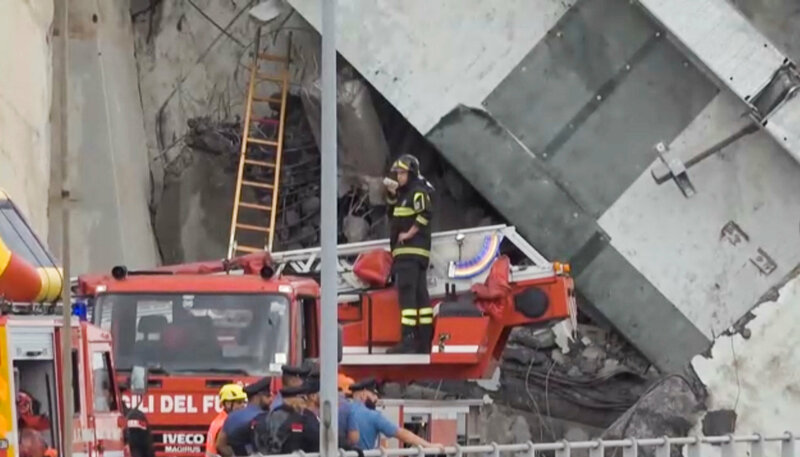 Autostrade’s top two officials have no plans to resign, a source familiar with the matter said on Wednesday. 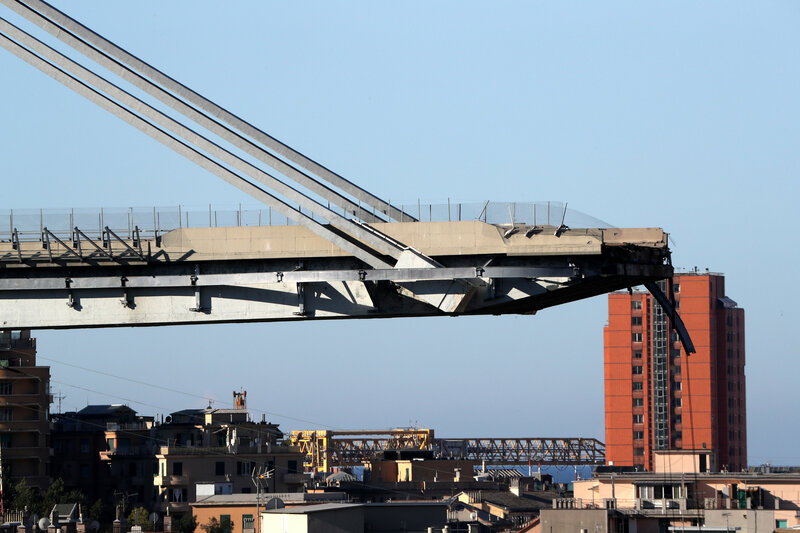 The Morandi Bridge, named after the engineer who designed it, forms part of the A10 motorway run by Autostrade. 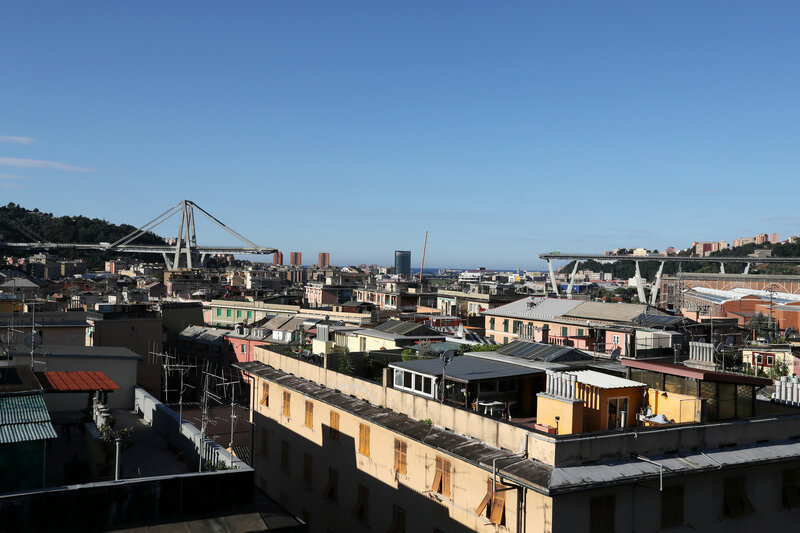 The 55-km (34 mile) stretch of the A10 accounts for around 1.7 percent of total network traffic for Italy’s biggest toll road operator, according to one analyst’s estimate. 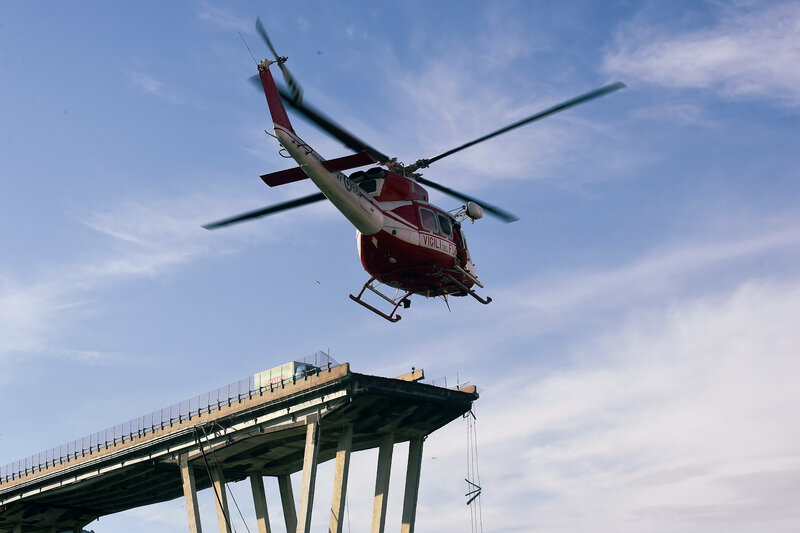 Autostrade’s parent, Atlantia, also runs toll-road concessions in Brazil, Chile, India and Poland. 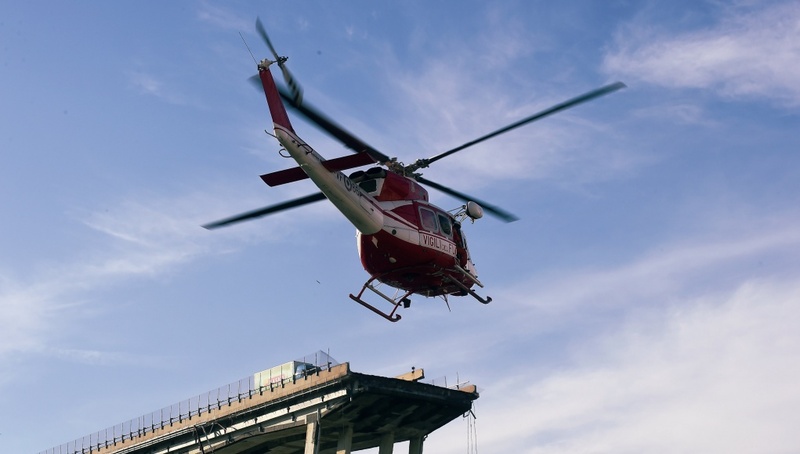 “The top management of Autostrade per l’Italia must step down first of all,” Toninelli said in a Facebook post. 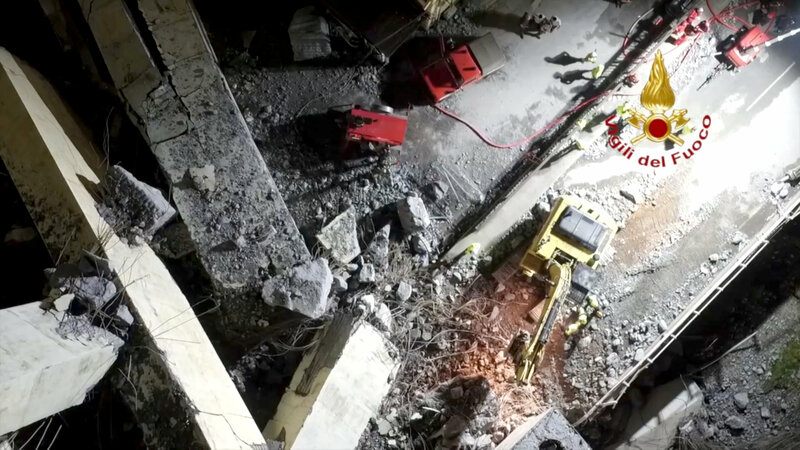 He also said the government would inspect the structure of ageing bridges and tunnels across the country with a view to launching a programme of remedial works if required.